Christian Bech (Aarhus), Michael Blömer (Aarhus), James Leahy (Birmingham), Yannick Mahé (Paris), Stefan Feuser (Kiel), (back row, left to right) Alain Duplouy (Paris), Mantha Zarmakoupi (Birmingham), Alexa Gallo (Paris), (front row, left to right) attended the kick-off meeting at Kiel University. A new cooperation project in archaeology is about to begin this fall, funded with around €370,000 by the European Union (EU) as part of the Erasmus+ programme: headed by the Institute of Classics at Kiel University, the universities in Kiel, Aarhus, Bergen, Paris, Birmingham and the Open University of the Netherlands are launching the strategic partnership “Ancient Cities. Creating a Digital Learning Environment on Cultural Heritage” together. The Europe-wide cooperation project’s goal is to digitally set up the cultural heritage using the ancient city as an example, during the three-year term. An innovative, pan-European, digital learning module is to be developed within this international teaching project’s three year period: together with archaeology students, researchers are creating a so-called Massive Open Online Course (MOOC) at the various universities, which is a film-based and interactive form of learning, which those interested can participate in from wherever they are, via the Internet. In this way, the project participants want to use the research on various ancient cities to prepare central contents of Classical Archaeology in a modern teaching format. 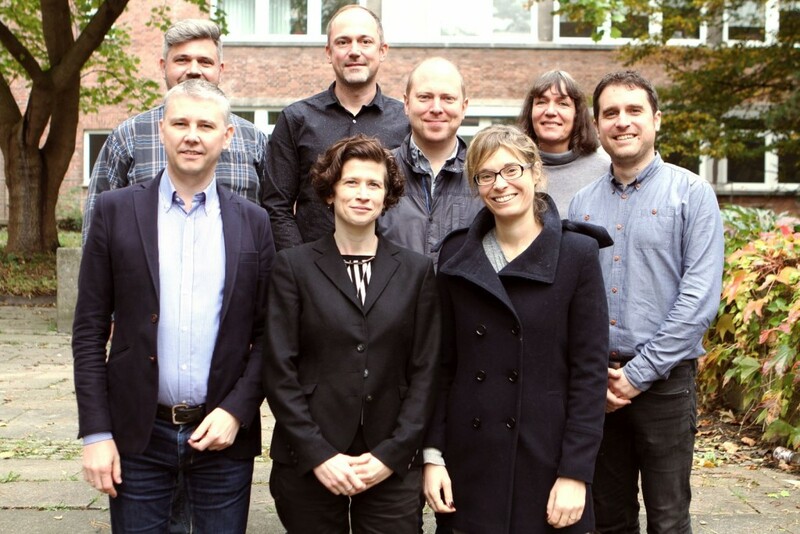 In early October, those responsible for the project came together for a three-day kick-off meeting for the European cooperation project at Kiel University. “We are pleased to be able to tackle a pioneering and unique project in archaeology with this strategic partnership, together with our partners. We hope to transfer the didactics of classics into the 21st century and to get the younger generation fascinated in ancient times,” emphasised Graduate School member Stefan Feuser, project coordinator and Professor for Classical Archaeology at Kiel University. During the coming year, the first digital learning contents will arise which the institutes involved aim to integrate into their archaeology and classics degree programmes. A joint Internet appearance is also planned, alongside the project and in addition to MOOC. The successively produced learning media will initially be available to students at the cooperating universities, and will also be made publicly accessible in the next stage. This enables the project leaders to fulfil the requirements for generally accessible and transparent ‘Open Science’. The partner institutions want to use this unique European project to not only present their subject in a modern way, but mainly to qualify their future graduates for the modern working world in science and practise in particular. “Our students can profit from the ancient cities project in a number of ways – they gain archaeological knowledge and qualifications in media production, improve their language skills and learn what it is like to work in an international, academic team. We hope to use this to be able to lay the foundations for subsequent research cooperation across Europe in classical archaeology,” says Dr. Michael Blömer, Assistant Professor at Aarhus University, optimistically. About the EU funding programme: Erasmus+ is the European Union’s programme for education, young people and sports. It combines the previous EU programmes for life-long learning, young people and sports, as well as the European cooperation programmes in the university sector. Erasmus+ has a budget of around €14.8 billion. More than 4 million people will profit from these EU funds by 2020. The programme, which is designed to run for seven years, aims to improve skills and boost employability, as well as to help modernise the general and professional education systems and the children and youth welfare systems.